Wayne Geriatrics | Dr. Ayman Daoud, M.D. We provide full services to men and women ranging from young adults to senior citizens. You can take comfort in knowing that you will be cared for by a fully-trained, board-certified physician. We provide a full spectrum of geriatric healthcare, including well and sick care for adults with a focus on preventative care. Dr. Ayman Daoud offers the highest quality of geriatric care in Wayne County, Michigan. He treats a comprehensive range of acute and chronic illnesses, from seasonal allergies and the flu to diabetes and heart disease. He puts his best effort toward bringing his patients good health and a bright future. For your convenience, we provide a number of onsite testing and services such as x-ray scans, blood draws, urinalysis tests, blood sugar and A1C testing, EKG scans, pulmonary function testing, cardiac stress tests and more.  If you’re looking for a geriatrician in Wayne, Michigan who is devoted to you and your family, visit Wayne Geriatrics. Call us today and our friendly staff will gladly make an appointment for you. At Wayne Geriatrics, we emphasize preventative medicine and healthy lifestyle choices to help you achieve a life free of illness. Annual physical exams are the cornerstone of preventive care. Physical exams provide us an opportunity to review your personal medical history and current state of health, as well as to identify risks to your health in the future and make recommendations for screening. The exam may include blood work, urinalysis, EKG and referral for testing or to a specialist for further work-up. To prepare for your annual exam, we ask that you come in fasting (no food for 10-12 hours) prior to your visit. Please bring in ALL of your medications to review with your geriatrician. Various insurance plans work differently, so please check with your insurance company to ensure that preventative visits are covered. We would love to see you! You’re never too old to get immunized. Doing so can protect you from acute or potentially life-threatening illnesses. At Wayne Geriatrics, we store and administer all recommended vaccines for adults, including seasonal flu shots. Don’t leave our office without making sure you’ve had all the vaccinations you need. As a service to our patients, we allow time in our schedules for same-day sick visits. This is a good way to avoid costly emergency room or urgent care visits. Please call early in the morning on the day you would like to be scheduled so that we can accommodate you and help bring you back to good health. Before an elective surgical procedure, your surgeon may recommend an evaluation to be sure your body can handle the procedure. Please call our office as soon as possible after scheduling surgery so that we can perform any tests that may be needed before the operation. This evaluation will include an exam, EKG and possibly blood work. We will then communicate our recommendations to your surgical team. We accept most major insurances plans. These insurance plans will cover a lot of the services we provide. Any portion of the fees not paid by the insurance company is the responsibility of the patient and must be paid directly. We insist that all payments be made at the time of service. This will avoid billing problems and unnecessary hassle in the future. It is important to realize that every insurance policy has its own level of coverage and list of covered services. We will attempt as best as we can to verify that level of coverage for all patients. It is ultimately, however, the responsibility of the patient to understand his or her own insurance and what it provides. It is also important that you alert us as soon as possible if you have a change in your insurance coverage so that we may update your account. We will happy to assist you in any way we can and we appreciate your cooperation.